I find that having goals to focus on throughout the year really makes me push myself and work harder, so I am all for New Years Goals. 2011 was the year of reading and I read 25 books. 2012 was the year of sewing at least one Colette garment a month. If you look at the list of garments I sewed here, it's safe to say that I surpassed that number. The Anise jacket (I have never made a jacket). Matching stripes, checks, and patterns. Trying new pattern designers and companies. Drafting a couple of simple patterns for myself. I would also like to say "thank you" to everyone for a great last year. 2012 was the year that I met the most sewing bloggers online and in person and for that I feel so lucky! You guys are my main inspiration, the people I go to for help and support, and most importantly, my friends. I'm glad that I have found a place that I can write about what interests me (sewing) and have other people that "get" me. Thank you!!! I'm going to hire you to make me the juniper pants!! So cute! I love your bravery and creativity, you inspire me and I'm so happy to be your friend! Yay for 2023! Sounds like a plan to me! So happy to have met you!! Looking forward to seeing those bound buttonholes! I considered them for the Beignet but as always I'm too in a hurry to finish. Well, the Beignet has so many buttons! I don't blame you! 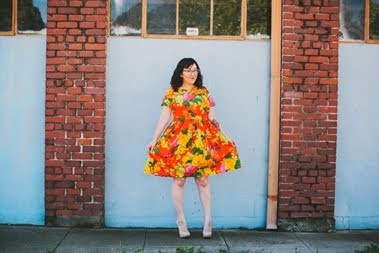 The bombshell dress is also on my list of dresses to tackle!!! We should try to work through it together :) Yay 2013!!!! Happy 2013! And, beautiful image up there at the top of this post! I too will be focusing on quality over quantity this year, so we're in it together ;o) I love the simplicity of your 2013 goals, which I'm sure you'll more than make a dent in. Can't wait to follow your progress! Those are some great goals! I still haven't finished the bombshell! I lost weight in between but its such a great dress it would be a shame to waste it! Looks like Anise and Juniper are in a lot of peoples goals this year! Maybe we should do a little linkup between a few blogs, spur eachother on! Good idea, Stevie!!! Which one are you working on first? I have the Anise and Bombshell on my list too, but for now focussing on a travel wardrobe for my trip in February! Good luck with your plans in 2013, I am looking forward to tracking your progress. Ooooh fun, where are you traveling to? hahah you're like me at work :) I just dream about fabrics all day! great plans! I love my Anise jacket and I'm really sad I didn't get to wear it too much before it got too cold! She's coming back out in the Spring tho! How about a Juniper sewalong? I have the pattern and fabric but I'm scared of fitting trousers! A lovely list! Many happy sewing hours in 2013!! Same to you, Miss Sallie O. You need to change the picture of your best friend!! You have upgraded! You know my goals, because I share them with you every time we talk.. hahaha. I can't wait to see your new creations this year!!! I need a total blog makeover! Oooh I will have to check out that book! you know that I'm all about quality vs quantity. If your previous years are any indication of this year, you're going to tackle your goals... no problem! Happy 2013! I love your list and your focus on quality-- I'm right there with you! The Anise is my first big project of the new year... I'm a little scared, to be honest! I've never attempted something so time-consuming before! I'm excited to see your Anise! The coat is so cute! This is an awesome list! I really want to make the bombshell dress too... I must have watched all the classes about 5 times, but always chicken out of actually making the dress... maybe this year? Congratulations on such a great list of achievements and knowing what you want to do and learn in 2013. I've really enjoyed reading your blog too.